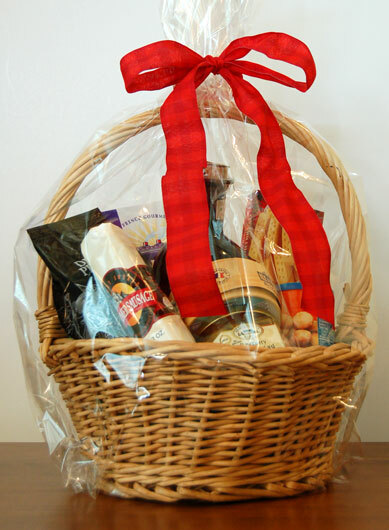 A cellophane-wrapped and ribbon-tied gourmet gift basket is ready to present to a valued client. Included in the basket is an eclectic mix of sausage, cheese, crackers, nuts, chips, and dip. Gift baskets such as this can be custom designed and filled with your choice of sweet or savory items.